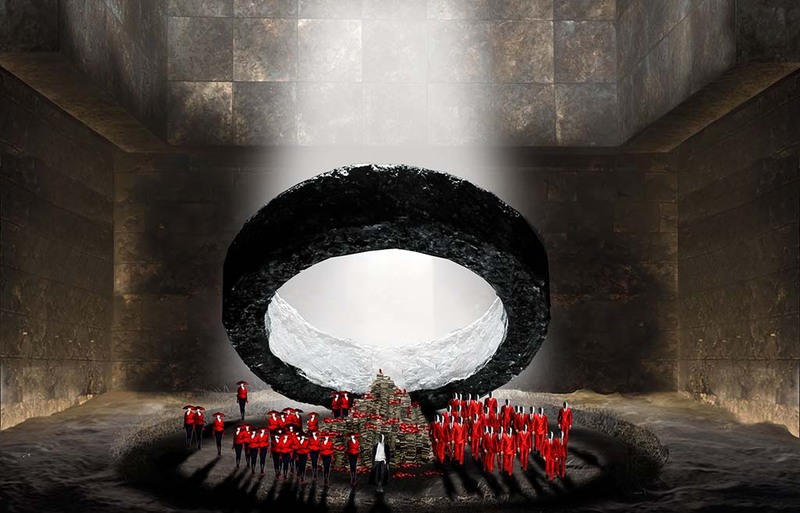 An unforgettable opera experience, thanks first and foremost to Stefano Poda’s breathtaking direction and design. The photos that accompany each of these reviews have never been so meaningful, because words are too poor to depict the visual and artistic experience he has created. 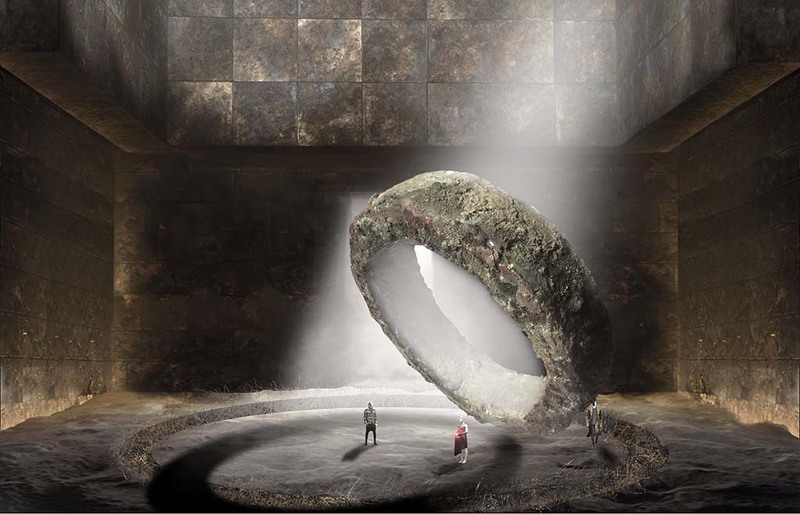 The gigantic ring that dominates the stage throughout the performance is so simple yet so dynamic in its movements and endless features. 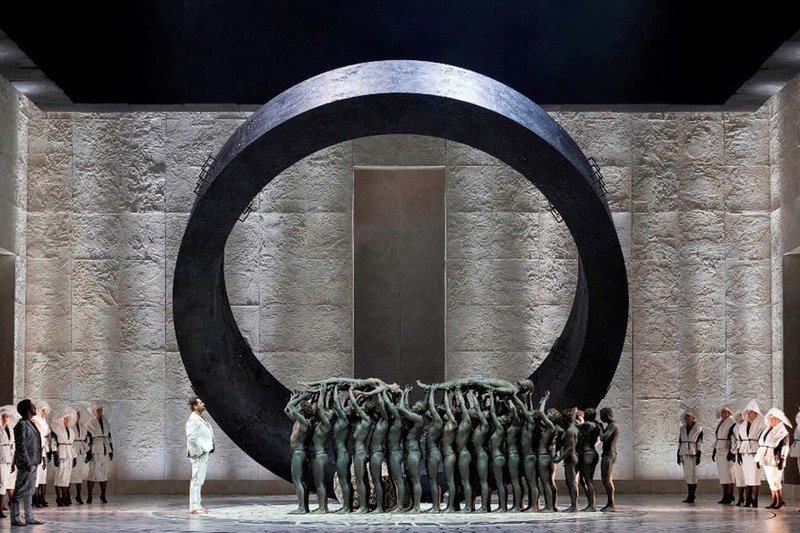 The lighting, costumes and choreography, all created by Poda, are made with endless care adding to the full harmony with the Gounod’s fantastic score. 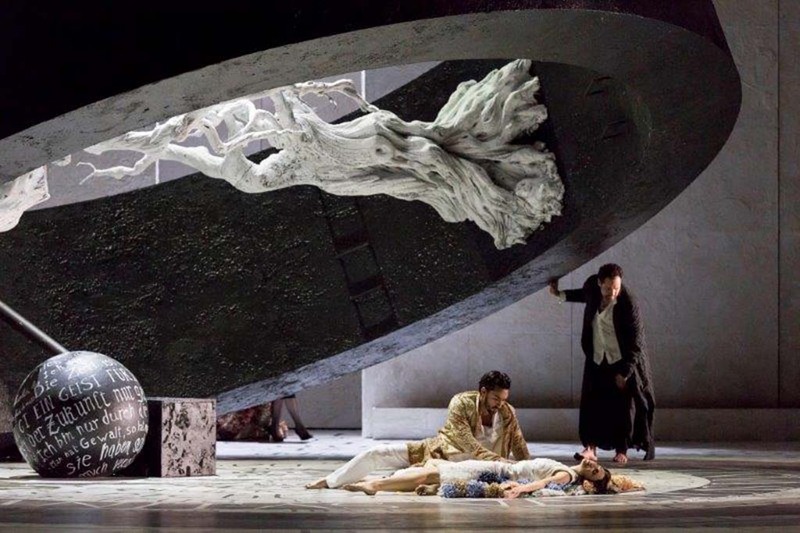 In the leading roles we welcome again tenor Gaston Rivero and Soprano Aurelia Florian, who collaborated as lovers on the same stage last year in the excellent production of another Gounod opera – Romeo and Juliette. Their performances of Dr. Faust and Marguerite were convincing and powerful. Pleasant surprises came from two debuts at the Israeli opera – bass Paolo Battaglia as Mephistopheles and baritone Serban Vasile as Valentin. Both enjoy commanding voices and very good dramatic skills. Battaglia’s presence on the stage is not less significant in Faust than the two leading roles and he handled it beautifully. Excellent were also mezzo sopranos Na’ama Goldman (Sibel) and Shay Bloch (Martha) in brief but impressive performances. Act Five brings to the stage a large group of very skilful dancers and together with the Israeli Opera Chorus they create one of the most memorable visual experiences of this production. Another welcome returnee is, of course, conductor Dan Ettinger. His intimate former relations with booth the Orchestra, as its former Principal Guest Conductor and with this opera house have only added to his well known and deep understanding of opera. The result was one of the best performances of this orchestra, although the music is so demanding and versatile. The wind instruments group and the 2 harpist were fantastic.